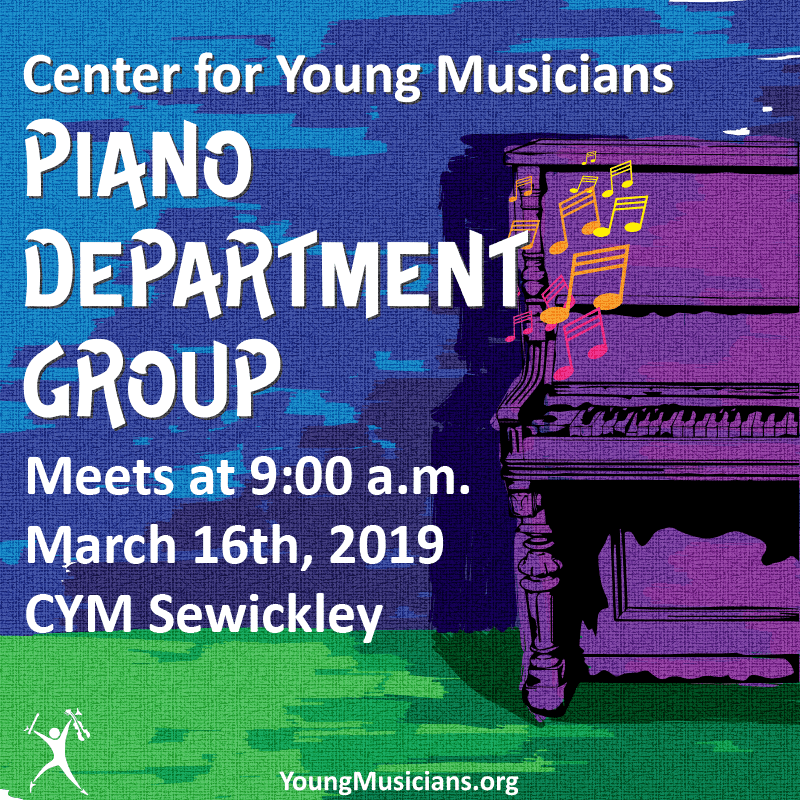 Calling all CYM pianists! Our Piano Department Group is coming up, and is open to all ages and levels! Perform with and for other pianists to gain confidence in a friendly environment! Try out a piece, test your memory, or play something you’re working on for a recital or contest! Pieces do not have to be performance-ready. Ms Grace will be on hand to offer feedback, and to address other music–related issues with the group! Talk with your teacher to sign up, or contact Ms Grace at gburns@youngmusicians.org.